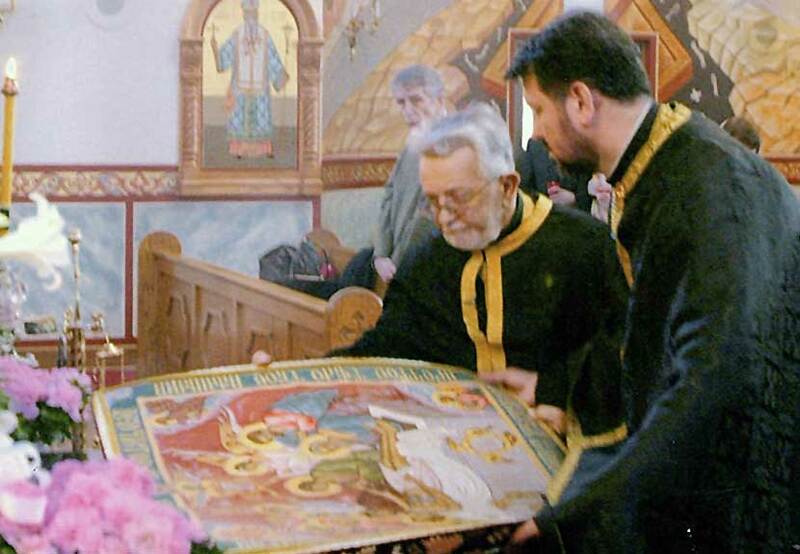 Join us for the solemn Vespers with laying of the Holy Shroud (Plastanica) and Funeral Service beginning at 6:00 p.m. at St. Sava Serbian Orthodox Church in Merrillville, Indiana. 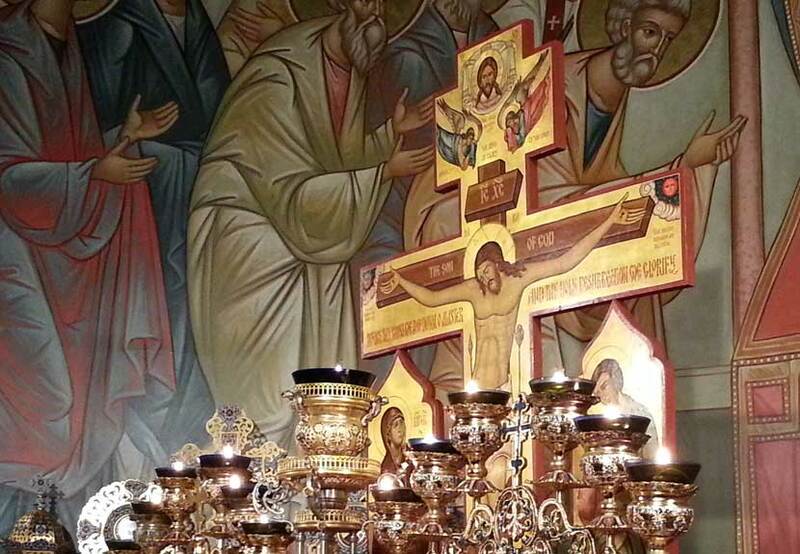 Evening services in Orthodox churches will late on Friday mark the time when Christ was removed from the cross on which he died in Jerusalem. 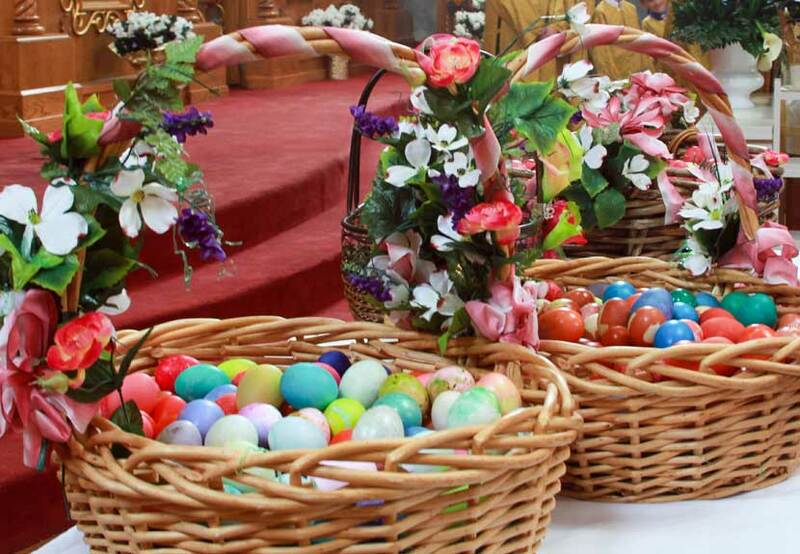 Before the service begins, a “tomb” is erected in the middle of the church building and is decorated with flowers. The priest will carry the painted or embroidered cloth representation of Christ from the altar around the church before placing it in the symbolic Tomb of Christ. 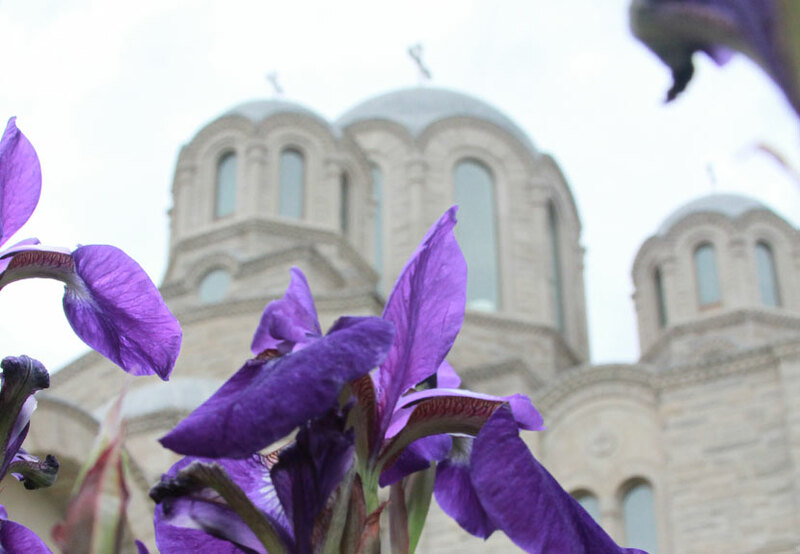 From Friday until midnight liturgies early on Sunday, bells will not be rang in Serbian Orthodox churches – also in observance of mourning. 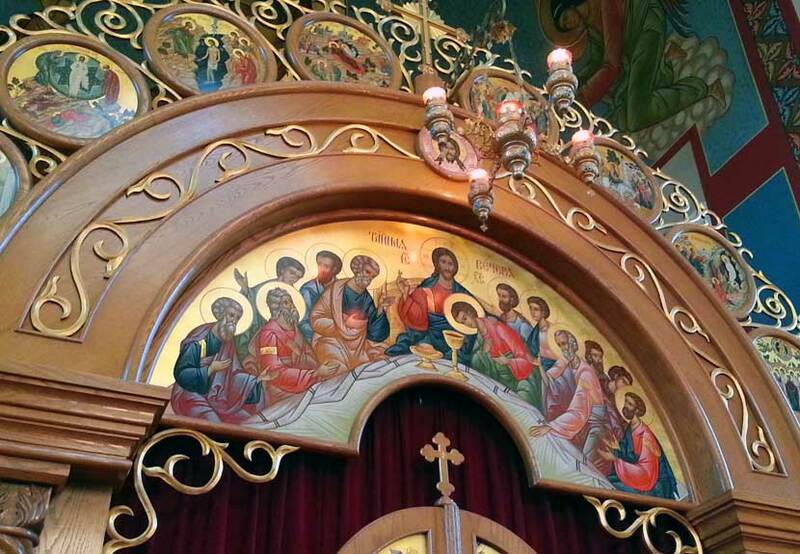 Everyone is welcome to join with us at St. Sava in Merrillville, Indiana as we commemorate one of the most important times of the year in the Orthodox Church. A complete listing of the Holy Week Schedule of Services is listed below. 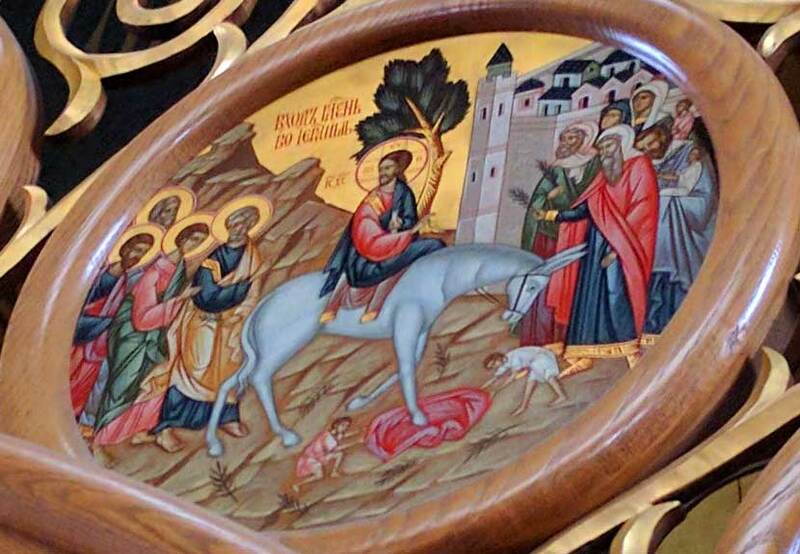 Join us as we commemorate Palm Sunday with Divine Liturgy and Holy Communion beginning at 10:00 a.m. with Confession beginning as early as 9:00 a.m. Sunday, April 9 at St. Sava Church in Merrillville. This weekend marks the beginning of Holy Week with special services taking place throughout the week. A complete list of services is available in the schedule below. Lent is a Time of Slowing Down. It is obviously impossible for us to go to Church every day. And since we cannot keep the Lent liturgically, the question arises: what is our participation in Lent, how can we spiritually profit by it? The Church calls us to deepen our religious conscience, to increase and strengthen the spiritual contents of our life, to follow her in her pilgrimage towards renewal and rededication to God. And, last but not least: there must be an effort and a decision to slow down our life, to put in as much quiet, silence, contemplation, meditation. Radio, TV, newspapers, social gatherings—all these things, however excellent and profitable in themselves, must be cut down to a real minimum. Not because they are bad, but because we have something more important to do, and it is impossible to do without a change of life, without some degree of concentration and discipline. Lent is the time when we re-evaluate our life in the light of our faith, and this requires a very real effort and discipline. Christ says that a narrow path leads to the kingdom of God and we must make our life as narrow as possible. At first the natural and selfish man in us revolts against these limitations. He wants his usual “easy life” with all its pleasures and relaxations. But once we have tasted of such spiritual effort, once we have made by it one step towards God, the reward is great! 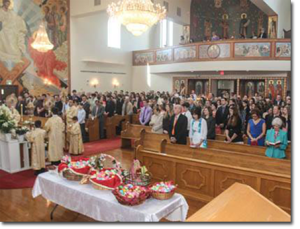 You are cordially invited to Saint Sava Church for Lenten Vesper Service taking place at 6:00 p.m. with Lenten dinner following on Saturday, March 18, 2017 at St. Sava Serbian Orthodox Church, Merrillville, Indiana. Vesper Service and veneration of the Holy Cross with His Grace Bishop Longin and visiting clergy and guests. Responses by Karagerge Choir and Saint Sava Children’s choir. Lenten dinner to follow. Guest Speaker during the dinner will be V. Rev. Father Dennis Pavicevich. 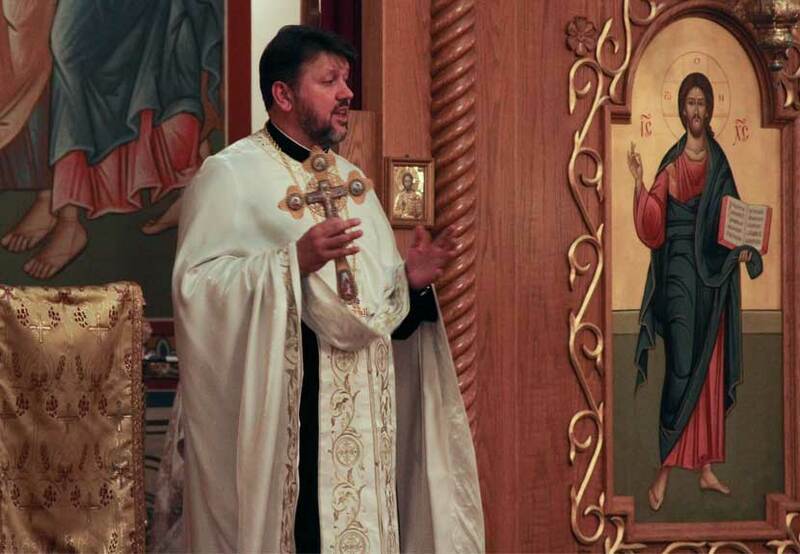 Father Dennis Pavichevich (Dragoljub Pavicevic) began his theological studies at Saint Sava Seminary in Belgrade, Serbia. He returned to the United States after two years and completed his undergraduate studies at Iona College in New Rochelle, New York and received a Bachelor of Arts degree in History and Political Science in 1972. Graduating from Saint Vladimir’s Orthodox Theological Seminary in 1975 with a Master of Divinity degree. He is well versed in the Christian Orthodox faith. Father Dennis’s first parish was at Saint George in Schererville, Indiana, where he helped build the church itself as well as a parish home. While at his second parish with Saint Steven’s Cathedral in Alhambra, California, Father Dennis led a large Eucharistic revival while establishing an adult Bible study program that took place within parishioners’ homes. 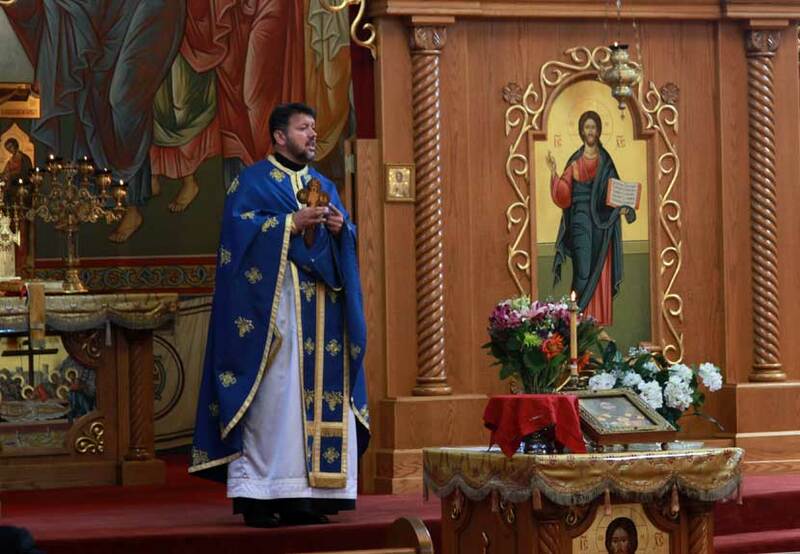 Following Saint Steven’s, Father Dennis served at Holy Resurrection Cathedral in Chicago where he helped establish a full time parochial school – Saint Sava Academy. 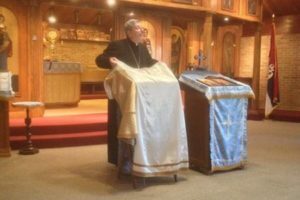 Father Dennis is now at Saint Nikola Serbian Orthodox Church since December of 2012, and the congregation is very blessed to have him.